Originally published by Hambi Bleibt. Edited machine translation Enough is Enough. 1. Summit meeting with prime ministers of #lignite States scheduled for January 15 by Angela Merkel. 2. Pending decision of higher Court in Munster. In addition, the NRW state building ministry asked the town of Kerpen and the district of Düren to evict the newly erected structures. For us it was clear – these people are photographing what they want to destroy in the near future. But when? A phuman being can never be sure when this measure will be carried out. Experience has shown us that the puppet masters are not interested in the public opinion that has no interest in this forest being evicted. That there are already commissions and court hearings to try to resolve this decision without large-scale use of force. No, they would rather continue to insist that they go the right way without having thought beforehand that the right way usually does not go with ones head through the wall. And that is exactly what worries us the most. Since the decision-making power lies with people who prefer to create reasons quickly out of nothing in order to be able to evict the forest. Not to have to wait for someone else to possibly have a better idea than them and not be able to represent their own power. This is exactly why it is possible at any time that there will be evictions here. That is why we wake up every morning with the uncertainty of whether today is the day when everything will be ruined again. 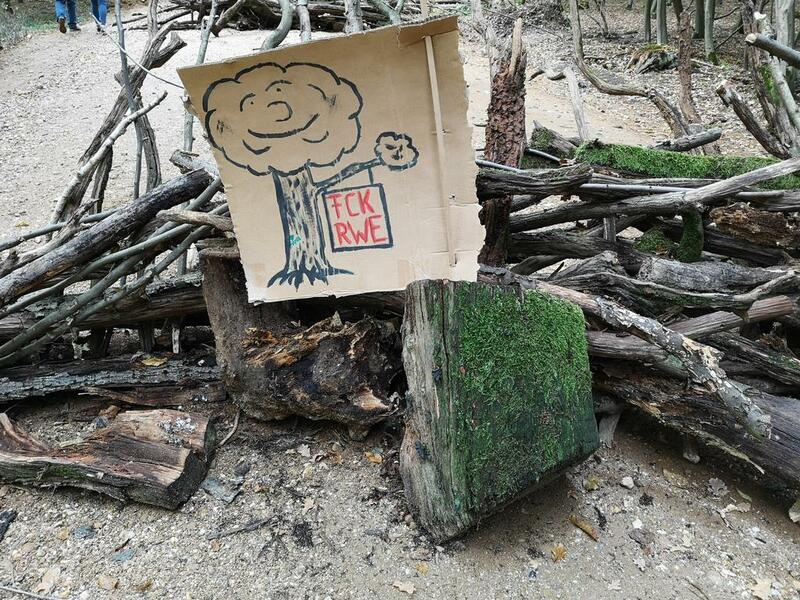 The day when the state, and all the institutions that belong to it, will join forces with RWE to continue to fight against the preservation of the earth by helping RWE to destroy what would mean the preservation of the earth. Namely, the preservation of forests, nature and life.